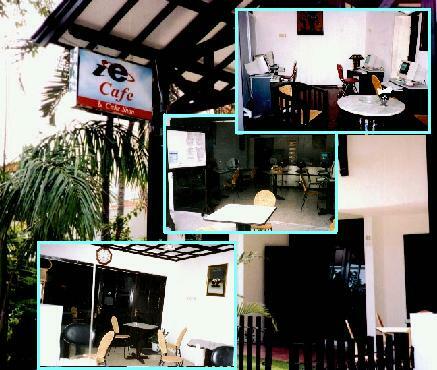 The Cafe facility is furnished with 15 computers running Windows 95, available for public use. All the computers are connected to the Internet over a high speed Digital ISDN connection. The computers are loaded with the most popular Internet software and other applications. One of the computer is equipped with a printer. The computer time is reasonably priced and there is always a friendly staff member available to help customers get started or answer a few questions.